Lose the sugar with healthy recipes for sweet & savoury treats that use only natural sweeteners & seasonal products. 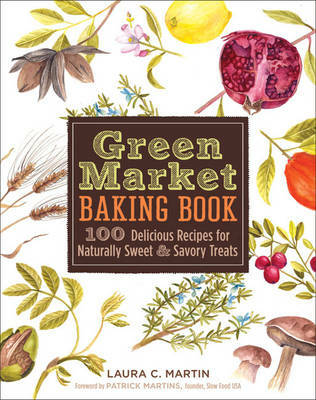 This title offers suggestions for dairy and gluten free treats, as well as vegan and low-fat. It is a unique collection of recipes, each of which has been tested and re-tested to perfection. Lose the sugar with recipes for sweet and savoury treats that use only natural sweeteners and seasonal products: no white sugar, corn syrup, or chemical substitutes allowed. Chefs from across America contribute their favourite recipes to this unique collection, which offers suggestions for delicious dairy- and gluten-free treats, along with vegan and low-fat variations. And every recipe has been tested and re-tested to perfection. Plus, Laura Martin demystifies the art of substituting natural sweeteners for refined products, so readers can use these sure-fire alternatives in their own favourite dishes!